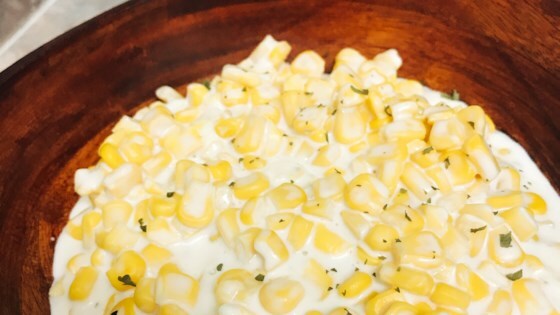 "The use of an Instant Pot® allows you to make amazing creamed corn without anything from a can. Although the goal of this recipe is to use fresh corn, frozen corn may be used if thawed and drained." Heat a multi-functional pressure cooker (such as Instant Pot(R)) on the normal slow cooker function. Combine corn kernels, cream cheese, and milk in the Instant Pot(R). Cook until cream cheese has melted, stirring often, 5 to 8 minutes. Stir in sugar, salt, and pepper and adjust seasoning to taste. I've made this recipe for years with canned corn on the stovetop. It's an excellent recipe, loved by all, but NEVER added sugar to it!! That would just ruin it!! !